Sweet F**k! 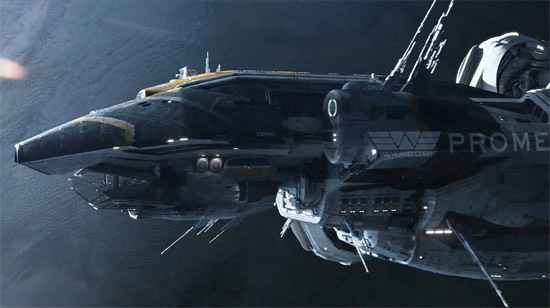 Even More New TV Spots for Ridley Scott's 'PROMETHEUS'! Just when you feared you have seen too much 20th Century Fox go & release two pretty incredible new TV Spots for Ridley Scott's Prometheus. B******ds! Understandably Fox are promoting the hell out of the sci-fi behemoth as its without question the biggest movie this year, sorry Bat fans. Unfortunately [for now] the footage is low-res. The first spot is sixty seconds long & the second clocks in at thirty seconds - both containing new footage. Prometheus arrives in 2D, 3D & 3D IMAX theaters this June 8th & stars Noomi Rapace, Logan Marshall-Green, Michael Fassbender, Charlize Theron, Idris Elba, Sean Harris, Kate Dickie, Patrick Wilson, Rafe Spall & Guy Pearce. Hit the jump for the details. Props to Prometheusforum.net for the videos. Will replace with HD versions when available. I'm reading: Sweet F**k! Even More New TV Spots for Ridley Scott's 'PROMETHEUS'!Tweet this!